The folding rack bag is convenient for any type of traveling. 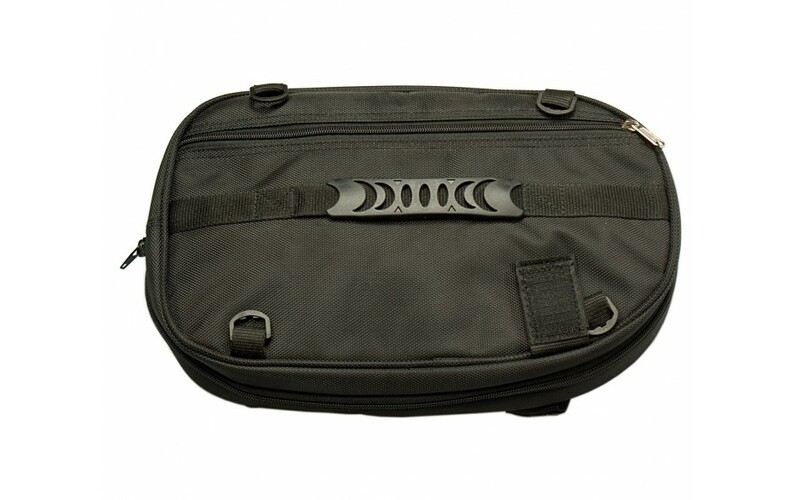 Features Velcro attachments, zipper closures, deluxe handles, side pockets and rain cover. 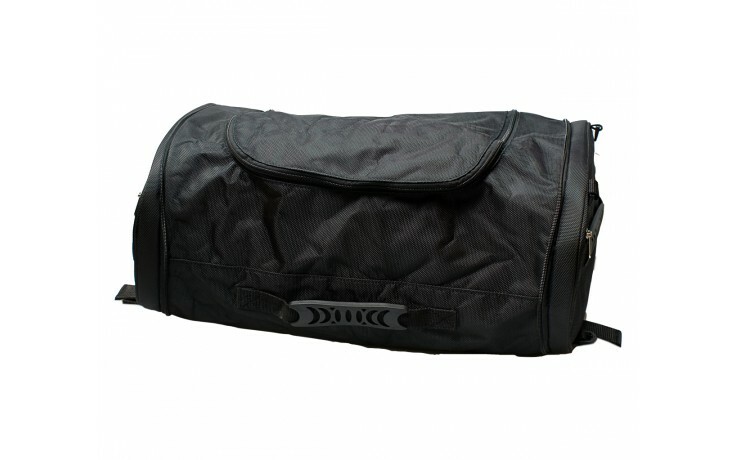 The folding rack bag is convenient for any type of traveling. To open, unzip and unfold to reveal a large bag that provides lots of storage room and then conveniently folds and zips down to easily stow away. The bag is made of 400 Denier nylon. When folded, it measures 13 inches x 8 ½ inches x 3 ½ inches and unfolds to a big measurement of 21 inches x 12 inches. Fits on most trunk racks. Features Velcro attachments, zipper closures, deluxe handles, side pockets and rain cover. Single.